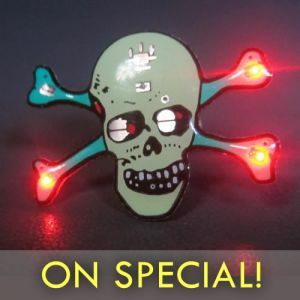 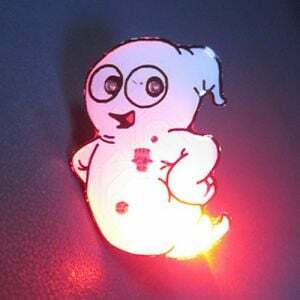 It's time to get into the Halloween Spirit with this spooky Pumpkin Face Flashing Pin Body Light! 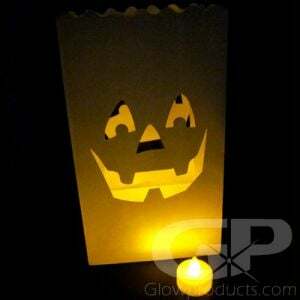 Grab the attention of all the goblins and ghouls at your party wearing our Pumpkin Body Light! 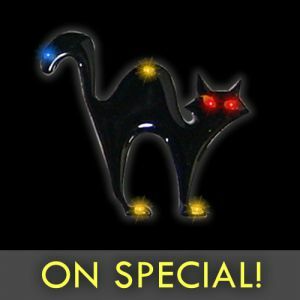 Pumpkin Body Lights are great for Halloween parties and a fun accessory for Halloween costumes. 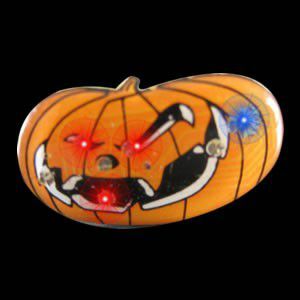 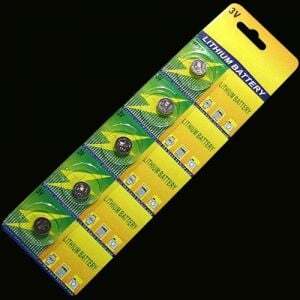 And the Pumpkin blinky flashing lights are perfect for lighting up kids when they are out trick-or-treating! 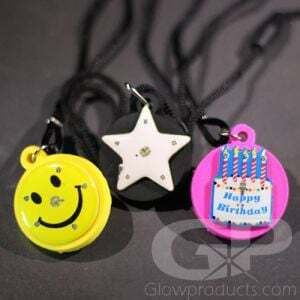 The flashing Pumpkin Body Light comes with a butterfly clip to attach it to any article of clothing, replaceable batteries are included.